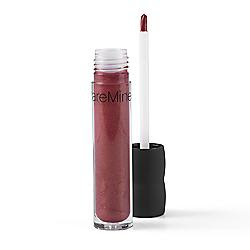 After using Bare Escentuals Buxom lip gloss/plumper, I have high hopes for all of their lip glosses. So if you're on 34th Street tomorrow from 11am - 5pm, drop by the Bare Escentuals store for a chance to win one of their 100% natural glosses at their Kismet Beauty Event. This shade is pomegranate. I'm so buying a pomegranate (or two) this weekend. Nothing makes me happier than everyone doing natural lines. I'm still pleased with my Victoria's Secret Pink organic and vegan shaving cream. And while I'm talking about product I've written about before, I'd like to do a Fiberwig update: just yesterday, for the first time since I bought it last September, the fibers began to flake off on my face. But aren't we supposed to change our mascara every 6 months or something? So it's probably just telling me to stop being cheap and lazy and go buy new Fiberwig. Shhh, listen: Is your mascara trying to tell you something? I need new mascara too. I think mine belongs in a museum at this point. I always keep aged mascara, what's up with that? Ah I need better mascara.